A 42-year-old driver, identified as Igwe Dike, has been arraigned by the Police before a Lagos State Magistrates’ Court in Ikeja, for allegedly beating his wife, Nkiru Egbo, with a plank which left her and their son seriously injured. Dike was arraigned on two counts of assault and causing of grievous bodily harm, which he pleaded not guilty to. 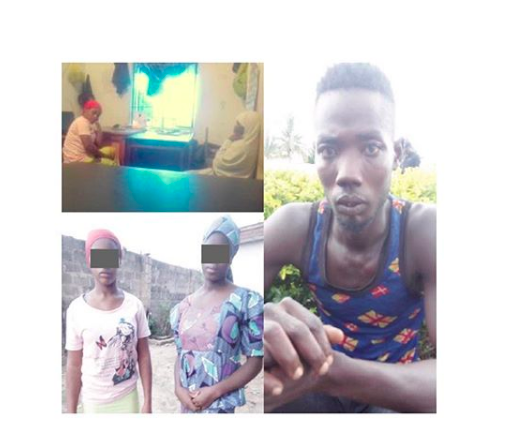 According to the police prosecutor, Inspector Simon Imhowa, the incident happened on July 30, 2017, at the couple’s residence on Ferry Street, Mile 2, Lagos. Imhowa noted that the offence was contrary to and punishable under sections 170 and 171 of the Criminal Law of Lagos State, 2011. According to the charge sheet, Dike assaulted his 35-year-old wife by beating her with the plank. He was alleged to have chased her with a cutlass and in the process, their nine-month-old son, whom she was backing, fell into a fire, which burnt his face and right arm. Dike told the police that he got married to Egbo in 2006 and the marriage was blessed with three children. He noted that they lived happily until he lost his job in 2016. He said, “On the day of the incident, at about 12.30am, I came back to meet another man making love to my wife inside a vehicle. “I immediately picked up a stick, opened the door of the vehicle and hit the man on the head with it. “My wife took the stick from me and while we were dragging it, the man escaped. “I later overpowered her and beat her mercilessly with the stick. Dike added that his wife reported to the police which led to his arrest. The presiding Magistrate, B.O. Osusanmi, granted him bail in the sum of N100,000 with one responsible surety in like sum, adding that evidence of tax payment and address of the surety must be verified. The matter was adjourned till August 29 for trial.